Today, the San Francisco and Los Angeles County district attorneys filed a settlement with the transportation network company Lyft over a civil consumer protection action and filed a civil lawsuit against transportation network company Uber after failing to reach a settlement. The transportation network companies, in which travelers are connected through a smartphone app with drivers using personal vehicles, are both allegedly operating in violation of consumer protection laws. 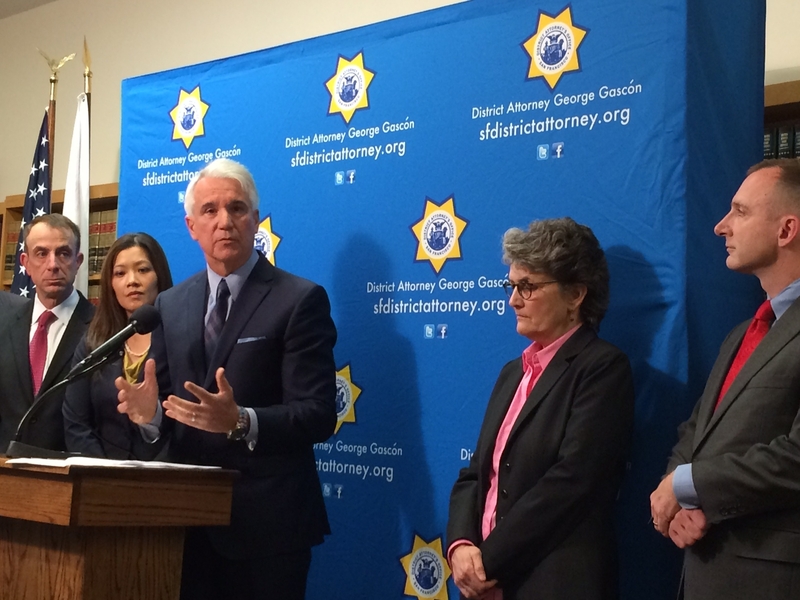 San Francisco District Attorney George Gascon said today that an investigation into Lyft and Uber’s “misleading” statements, representations and business practices started about a year ago and while Lyft has worked with law enforcement since then to come under compliance, Uber has not shown that same willingness. 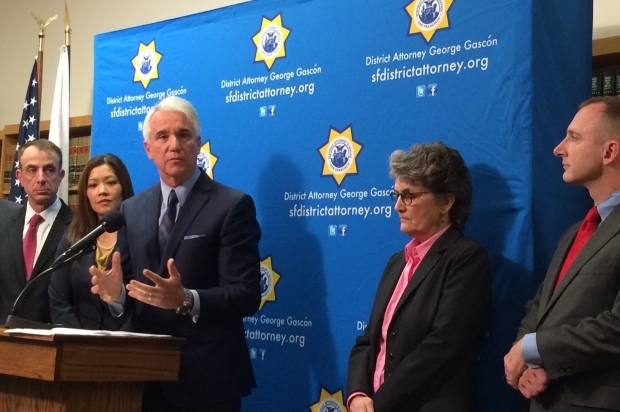 Gascon announced the settlement today of a civil consumer protection action brought against Lyft, Inc. stemming from allegations by the San Francisco and Los Angeles County district attorney’s offices regarding false or misleading representations about background checks performed on its drivers. Additionally, Lyft used an application to calculate fares for rides but has not submitted it for approval by the California Department of Food and Agriculture’s Division of Measurement Standards, as is protocol for a business providing services using measuring technology. Lyft also allegedly conducted commercial operations at airports without obtaining authorization from the airport authorities. As a result of the settlement, Lyft has agreed to revise how it portrays its background checks to customers, submit the application used for calculating fares to the state agency for evaluation and obtain authorization from each airport in California prior to providing rides on their premises. Lyft has agreed to pay $250,000 in civil penalties within 30 days of the settlement and, if the company has not complied with the terms of the injunction within one year, they will have to pay an additional $250,000 in civil penalties. Uber on the hand, according to Gascon, has not been as agreeable as Lyft and a complaint against the company was filed today in San Francisco Superior Court. The Los Angeles County and San Francisco district attorneys expressed their concern for consumer safety, stating that Uber has engaged in a variety of business practices that violate California laws designed to protect the public. The district attorneys allege that Uber has misled consumers regarding the quality of the background checks it performs on its drivers. Furthermore, the district attorneys allege that a $1 “Safe Rides Fee” charged to UberX riders falsely claimed to pay for an “industry leading” background check process. Gascon said today that the true industry-leading background checks use biometrics, such as fingerprints, to ensure that the person submitting the information is in fact the person driving the vehicle. Similarly to Lyft, Uber is allegedly using an application to measure the length and distance of rides but has failed to submit the application to the state agency for evaluation. Uber has also allegedly been providing rides at airports without obtaining authorization from the airport authorities. According to the district attorneys, Uber even charged a $4 “airport toll fee” to its passengers who used its UberX service for trips to or from San Francisco International Airport, even though the UberX drivers weren’t paying anything to the airport because they did not have permission to operate there at the time. Both companies have since signed permits with SFO that allow them to operate at the airport. Gascon said he hopes the lawsuit will result in restitution for UberX passengers who paid the misleading $1 safety fee or the $4 airport fee. He said the lawsuit will send a signal to companies that they can’t ignore the public’s safety. The district attorneys’ lawsuit against Uber comes in the wake of a recent lawsuit filed by attorney Christopher Dolan seeking damages from both Uber and an Uber driver accused of striking and killing a 6-year-old girl while driving in San Francisco on New Year’s Eve. The Uber driver has been charged with misdemeanor vehicular manslaughter, district attorney’s office spokesman Alex Bastian said. Dolan alleges that the driver was viewing or interacting with his smartphone app for the company when the collision occurred. Uber issued a statement following the death of 6-year-old Sofia Liu, saying that the driver was not responding to a fare at the time of the collision. Another lawsuit pending against Uber arose after an Uber driver allegedly attacked a passenger with a hammer in September, causing potentially permanent vision damage to the victim.